A poetry book by Jordan Scott. The bright, taut, explosive poems in Jordan Scott's Blert represent a spelunk into the mouth of the stutterer. Through the unique symptoms of the stutterer (Scott, like 50 million others, has always stuttered), language becomes a rolling gait of words hidden within words, leading to different rhythms and textures, all addressed by the mouth's slight erosions. In Scott's lexicon, to blert is to stutter, to disturb the breath of speaking. The stutter quivers in all that we do, from a skip on a cd to a slip of the tongue. These experiences are often dismissed as aberrant, but in Blert, such fragmented milliseconds are embraced and mined as language. Often aimed full-bore at words that are especially difficult for the stutterer, Scott's poems don't just discuss, they replicate the act of stuttering, the 'blort, jam and rejoice' involved in grappling with the granular texture of words. 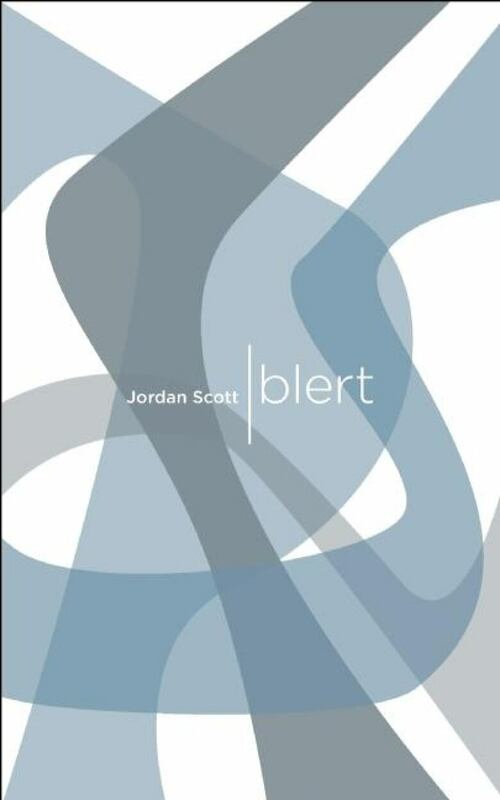 From Blert by Jordan Scott ©2008. Published by Coach House Books.